Huawei Mate 20 Series are packed with a huge batteries, but how long does it last and how well does it perform? The Huawei Mate 20 Pro is equipped with 4,200mAh battery while the Mate 20 has 4,000mAh battery. Both support Huawei’s very own SuperCharge technology that allows user to charge their device up to 70 percent in half an hour. In a recent forum, Yang Chengjun, Huawei Charging and Battery Expert, said that the Chinese smartphone company focuses its design concept through capability model which is divided into four categories: speed, capacity, compatibility, and safety. Huawei Mate 20 Pro promises 70 percent of battery in under 30 minutes of charge using the SuperCharge. The glass back of the Huawei Mate 20 Pro provides 30 percent of battery to the device under half hour via wireless charging. It can last for 14 hours and 16 minutes! The Chinese smartphone company also wowed the world because of the world's first reverse wireless charging technology of the Huawei Mate 20 Pro. It can charge the Apple iPhone X, Samsung Galaxy Note9, and any other Qi-enabled devices. 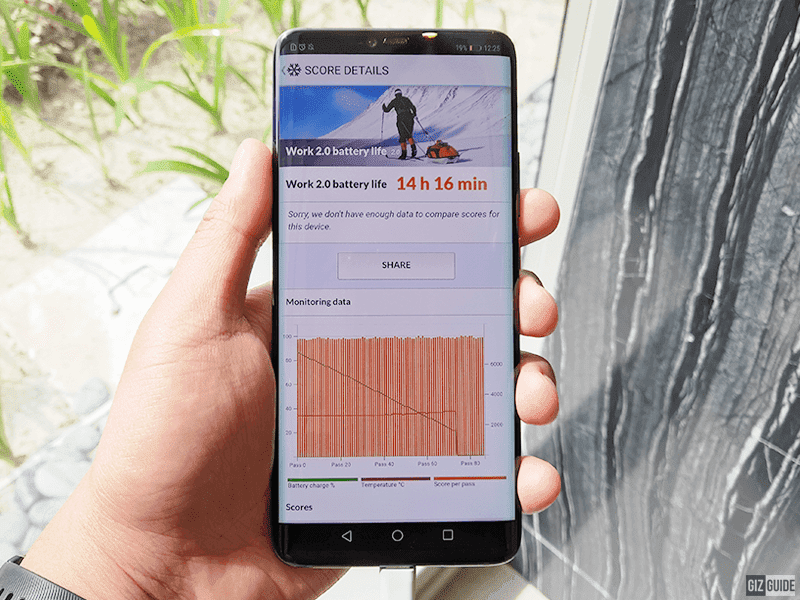 Related: How good is the battery and charging performance of the Huawei Mate 20 Pro? 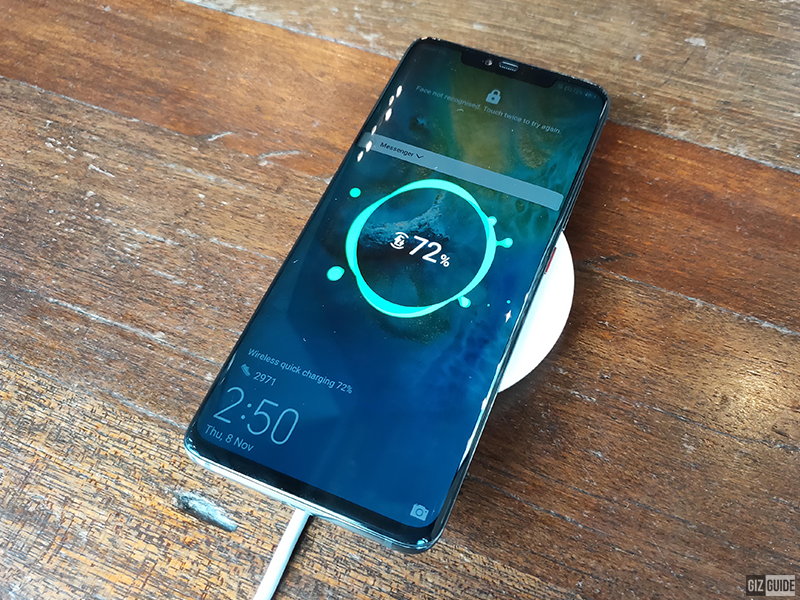 To do wireless charging with the Huawei Mate 20 Pro, you just need to place on its back the back of your Qi-enabled device to trigger the feature. The Mate 20 and Mate 20 Pro is already available in all Huawei Experience stores nationwide, Smart, Globe Postpaid Plans and partners retailers nationwide. The Mate 20 Pro retails for PHP 49,990 and The Mate 20 is priced at PHP 40,990. Consumers will also get a free one time screen replacement for their Mate 20 and Mate 20 Pro within one month from date of purchase.